I find it hard to cope with Notre Dame fire today. I lived and worked in Paris for a year and a half, and I love the city, its people, and its landmarks. 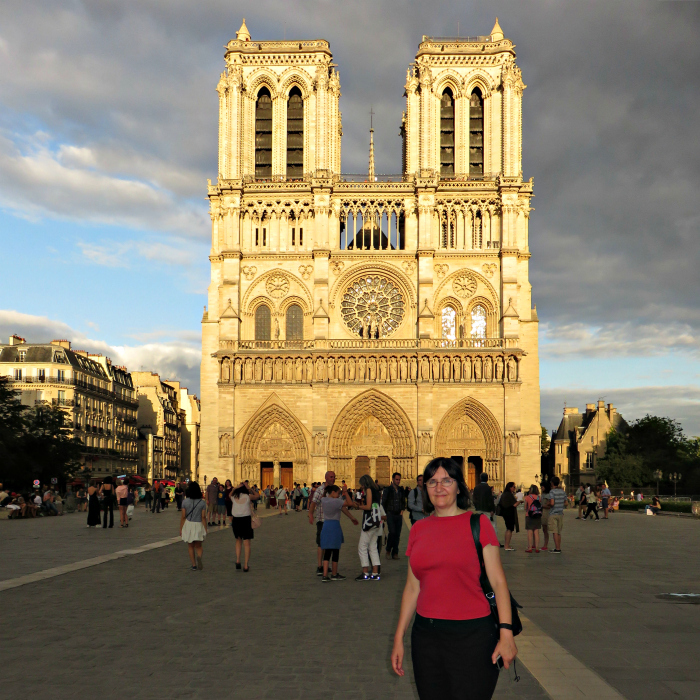 Notre Dame is such a jewel of human achievement and losing it to fire seems unimaginable. I am watching the news and hoping that as much as possible will be saved. I have no doubts that Notre Dame will be rebuilt, but... some history is irretrievably lost today leaving a question of how this can happen and the perception that our material world is incredibly fragile despite and maybe because of our pace of progress. This makes me want even more to travel and admire its beauty while we can - who knows what future has in store for all of us. It is surprisingly sad. Such a loss. The fire was absolutely devastating. The news was so tragic. It's been encouraging to see how the news has changed over the past few days to be more encouraging for the structure in general surviving. I'm worried what will happen in the rebuilt if it'll be drastically changed into some modern monstrosity with the "design the new roof" competition I heard being discussed as a possibility (Boaty McBoatface worry anyone else? ).